You’ll have to forgive Cal Kowcun for getting a little misty-eyed as the clock hit zero on last night’s men’s basketball rec league playoff game at Duckworth Centre. His team, Old School, had just staged an impressive comeback attempt in the game’s waning minutes, but ultimately came up short, losing 53-39 to an opposing team of energetic, much darker-haired gentlemen clad in red pinnies. 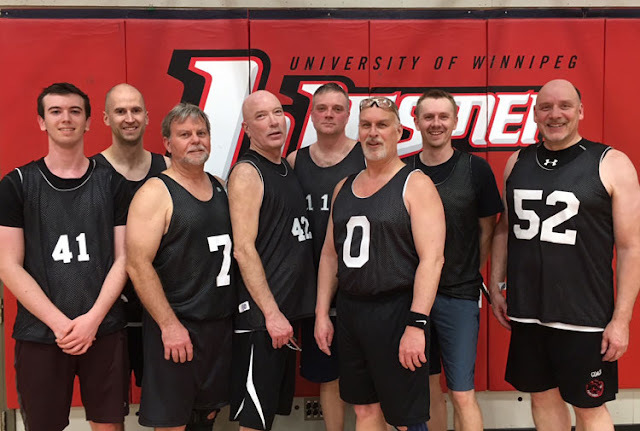 The score mattered little as Kowcun faced the reality of closing out the team’s 40th — and possibly final — season of play in the Fort Garry Brewing Company Super Men’s Basketball League.